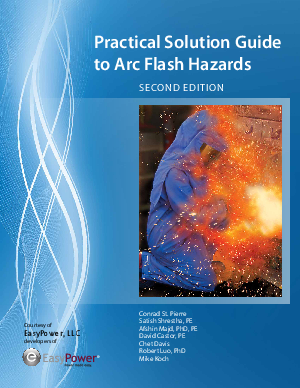 Graphic Products is pleased to bring you the Second Edition of the “Practical Solution Guide to Arc Flash Hazards” produced by EasyPower, LLC. This edition has been fully updated to reflect the most recent changes in standards and practices. We believe this will be a valuable tool for electrical engineers, safety managers, or anyone responsible for implementing and maintaining and arc flash hazard safety program. The guide was designed to walk you through the necessary steps of implementing an arc flash assessment as part of your overall safety program requirements. It will help you and your team make important decisions concerning the safety of your employees an help manage the complex tasks of OSHA and NFPA 70E compliance for arc flash hazards.